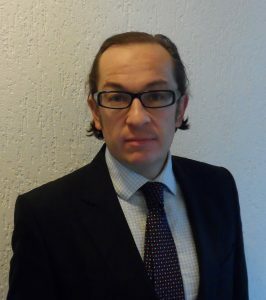 Paul Benneworth is a senior researcher at the Center for Higher Education Policy Studies, University of Twente, the Netherlands, and at Agderforskning AS, Kristiansand, Norway. Paul’s research focuses on the dynamics of innovation and societal change and in particular the ways in which partnerships of researchers, policy-makers and practitioners try to use various kinds of knowledge to stimulate socio-economic development. Paul leads the Working Group on SSH Research Impact in ENRESSH, the COST-funded European Network for Research Evaluation in the Social Sciences and Humanities. He has been chief scientist of projects for a range of research funders including the European Framework Programme/ERA-NET, research councils in the UK, the Netherlands and Norway as well as a wide range of government and not-for-profit funders. He is the editor of 8 scientific books, including the recently published Palgrave volume The impacts and future of arts and humanities research. He has published more than thirty peer-reviewed scientific articles in the last decade, serves as reviewer for a range of journals, research councils and funding agencies internationally and is currently acting as special scientific adviser to three research council funded projects in Norway, Austria and Belgium.